Safety on district provided transportation is of the utmost importance. For that reason, we have school policies in place to keep students safe while boarding, riding, and exiting district transportation. We ask all students to follow the rules, (outlined below) so the system can function smoothly. Drivers may assign seats and change them as needed. Sit in seats. Do not stand. Do not use abusive language or profanity. Do not bring or consume food or drinks on the bus. Board and exit the bus in an orderly fashion. Keep arms, hands, etc., away from windows and doors. Do not throw objects from the bus. Board and exit at assigned stops only. Be on time at the home bus stop. Wait at the bus stop out of the way of traffic and off of the highway. Remain in one seat during the entire trip. Do not use or have in your possession tobacco, alcohol, or drugs. Remember that riding district provided transportation is a privilege, not a right. Violation of rules may result in temporary or permanent suspension from the bus. A written note signed by a parent/guardian authorizing the temporary change on the specified date. A written note signed by the parent/guardian of the destination household authorizing the temporary change on the specified date. * Please take notes to the office before homeroom on the day of the change. The attendance secretary will sign the note and return it to the student, who will give it directly to the bus driver at the appropriate time. If you have questions regarding district transportation, please contact Mrs. Strait or by phone at (814) 817.1380, option 4. 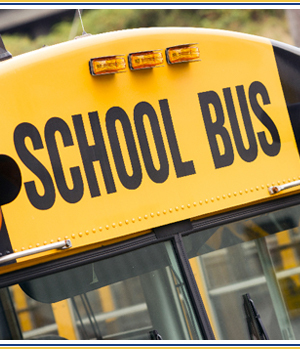 If you have any questions or concerns about your child's transportation, please contact Mrs. Suzanne Strait or by phone at (814) 817.1380, option 4.